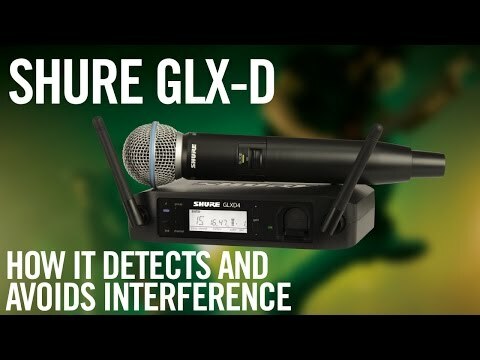 Shure GLXD24UK / BETA58, Digital Handheld Wireless Microphone System - Includes GLX-D24 Receiver, and BETA58 Handheld Microphone The GLX-D D.. 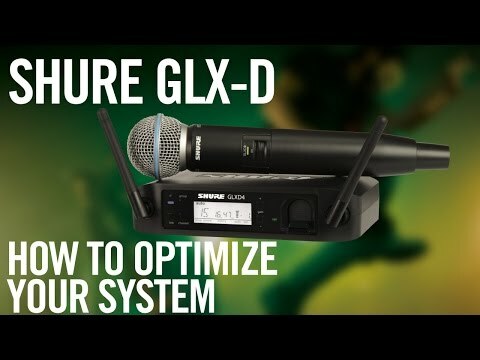 The GLX-D24/Beta58 dynamic vocal system is ideal for the busy hard working singer that needs a rugged, reliable system that is always ready to go. 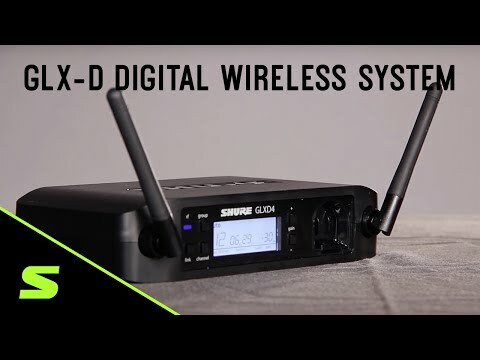 The combination of Shure's legendary Beta58a wireless transmitter and the GLXD24 digital receiver delivers nothing short of impeccable sound reproduction of vocals, both in professional studio and stage environments. A supercardioid polar pattern is effective at eliminating unwanted sound sources and feedback from stage monitors or other vocallists too. Shure's Automatic Frequency Management automatically scans up to 17 channels upon set-up, making your soundcheck and performance completely hassle free. Get up to 16 hours of continuous use with Shure proprietary Lithium-Ion rechargeable batteries, with up to 60m range with rock-solid reliability as you'd expect from all Shure microphones. 8 compatible systems can be used at once, and features both XLR and 6.3mm Jack outputs to ensure quick and easy connection to your PA.